Impact wrenches are becoming increasingly popular among home mechanics and DIYers. 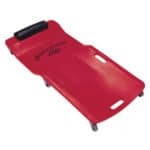 They’re most known for the ability to quickly loosen or tighten car lug nuts (much faster than a torque wrench) but are also great for getting lawn mower blades off, tightening long screws in wood, and a variety of other uses where a normal ratchet or cordless drill just won’t cut it. Recent cordless models are more powerful and last longer than their predecessors, giving you the power of a pneumatic impact wrench in portable form. 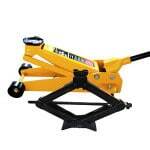 The top air impact wrenches are unbeatable when it comes to shear torque and nonstop operation. The following are our picks for the best cordless and air powered impact wrenches. Cordless impact wrenches are an excellent choice when you’re on the go. They can be used in close quarters and it’s easy to keep spare batteries on-hand for a quick swap-out as you work. 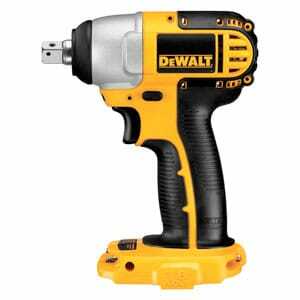 DeWalt’s reputation for top-quality tools continues with their release of what may be the best 1/2″ electric impact wrench on the market. 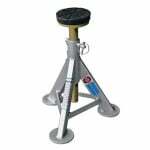 The heavy-duty impact mechanism is capable of 700 feet/pounds of torque and a max breakaway torque of 1,000 feet/pounds. An LED work light adds extra visibility and has a 20 second delay. Using the brushless motor’s three-speed selector, you can adjust the tool for multiple tasks, and the hog ring anvil provides quick socket changes. Best of all, this lightweight power tool is resistant to chemicals, cleaners, and grease; and can be dropped up to eight feet without the risk of damage. There is no denying the power of this tool. Owners have used it in a wide range of automotive jobs, reporting that it outperforms the competition with gusto. 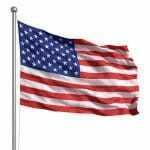 It has removed bolts that proved a problem for other wrenches, and consumers have purchased this for their home, garage, and vehicle maintenance kits. Right now, this is the best cordless impact wrench for lug nuts on the market today. 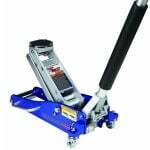 Because of the amount of torque this wrench provides, battery life can be an issue. But it’s really amazing how far cordless wrenches have come. 700 ft/lbs. of torque (and 1,000 ft/lbs. of breakaway torque) is nothing to sneeze at and it’s comparable (or better) than a majority of air impact wrenches out there. 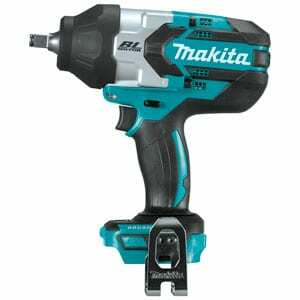 Built for both power and speed, this Makita 1/2-inch drive boasts an incredible (for a cordless) 740 ft./lbs. of fastening torque and 1,180 ft./lbs. of breakaway torque. The electronically controlled brushless motor automatically matches torque and RPM for efficiency and a run time of up to twice that of brushed motors. 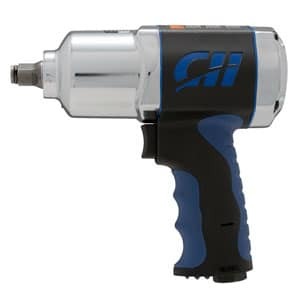 This is an excellent heavy duty cordless impact wrench that’s capable of loosening even the most stubborn lug nuts or bolts. You’ll no longer need to use the breaker bar + muscle method. 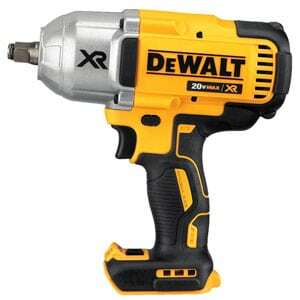 Like the DeWalt, it has 3 speed settings to allow some level of precision. With dual LED lights and an electronic brake, it’s both easy to use and built for productivity. For automotive use, there’s really nothing it can’t handle. Makita batteries have a great reputation and combined with the brushless motor, you’ll have removed 20 lug nuts with hardly making a dent in the battery life. Both the DeWalt above and this Makita are beasts when it comes to impact wrenches and you really can’t go wrong with either. Often it comes down to which brand you want based off the cordless tools you have or plan on getting. The biggest negative is the weight. At 7.9 pounds (with battery), it’s not the lightest impact wrench. While this generally means a good build quality, your arm and wrist will get fatigued quicker than other models if using for extended use. That said, the tool is so quick doing its job, most users will probably never even notice. The second entry from DeWalt on this list is capable of 1,740 inch-pounds of torque at up to 2,400 RPM. A frameless motor and replaceable brushes add to the tool’s durability and make servicing easier. Meanwhile, the magnesium gear case and all-metal transmission further improve the durability. The DC820B’s textured, anti-slip comfort grip allows you to work longer, while the heavy-duty impact mechanism alleviates kickback. Customers love the compact design of this impact wrench, which makes it one of the best battery-powered options for dealing with tight quarters. 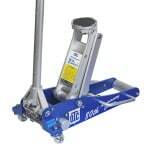 They have also noted that the DC820B can loosen tough bolts quickly and has a lot of power. 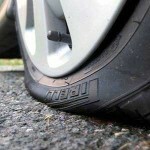 Many keep a spare in their vehicle for changing tires on the go. At 2.2 pounds (without the battery), it’s incredibly light and great for periods of extended use. Several users have had issues when using this impact wrench for lug nuts on their cars. 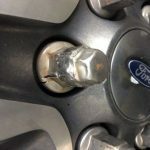 As other owners have reported easy removal of lugs on cars of the same or similar model, it is unknown where the source of this problem lies. With a superior power-to-weight ratio, air-powered drivers take advantage of compressed air to deliver high efficiency at a low cost. Many newer models are designed for reduced noise. These wrenches are generally less mobile than cordless models, but are often more powerful and you don’t have to worry about batteries needing to be recharged. Rated at only 86 decibels, the 1150 might be the quietest twin-hammer air impact wrench you’ll ever own. This doesn’t affect the power, which is capable of delivering 1,295 feet/pounds of loosening torque and 900 feet/pounds of max torque at 1,400 blows per minute. The lightweight composite body features a patented ergonomic AirCat handle for superior comfort and grip. A two-year parts and labor warranty tops off an already excellent tool. 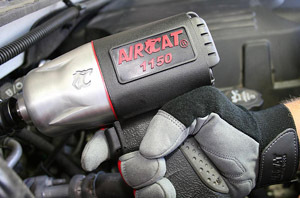 The AirCat is one of the best selling air impact wrenches ever and is used by both professionals and home mechanics alike. This tool works best with a shorter hose, and users have noted a major difference in power when switching from a long hose. Some consumers have complained about the durability of this impact wrench. 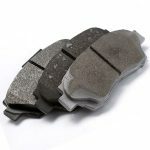 These complaints have ranged from a loss of torque to parts breaking. It is unknown whether these users have made use of the warranty or not but AirCat has a fairly good reputation as far as support is concerned. 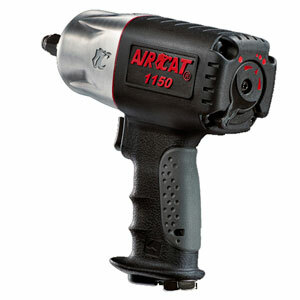 Aircat 1150 vs Nitrocat 1200 – A quick point on these two competitors… Some pros insist that the NitroCat 1200-K is a better air impact wrench at this price range but we beg to differ. Even though the torque specs are the same, the NitroCat and its lower 950 impacts/minute sometimes just feels like too much. The hits can be jarring almost to the point where you feel like it’ll break your wrist if you’re not careful. For that reason, we didn’t include the NitroCat as a recommendation. With a design that’s been refined over the course of 25 years, the 231C’s twin-hammer design packs a lot of punch. Capable of 600 foot/pounds max torque and up to 8,000 RPM (1,200 impacts/min), this impact wrench can tackle even tough jobs. A contoured handle, compact ergonomic design, and adjustable power regulator provide superior control and comfort. Maintenance is also a snap, thanks to the streamlined, two-piece construction. Consumers have had a lot of positive things to say about the 231C. Some have owned older versions of the 231 and note the power remains among the best on the market. Others are new owners who state the efficiency of this model for automotive use. In both cases, customers are quick to support the 231C’s reputation as being one of the best air impact wrenches on the market. Some users who have bought this impact wrench have been using this Ingersoll Rand for years. 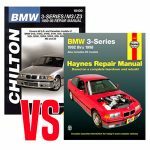 They have reported that the 231C has a slightly lower durability than previous versions, and it tends to be noisier. Some of the parts have also been changed from metal to plastic in the current version to lower costs. This twin hammer impact wrench boasts a 550 feet/inch max torque and 8,000 RPM (1,200 impacts/min) for a wide range of tasks. Its three speed power regulator allows for maximum power even when in reverse mode. 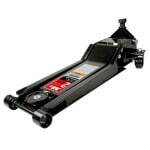 The lightweight composite design of the TL140200AV provides durability while reducing vibration. A soft rubber grip helps reduce fatigue during long projects. Consumers are often pleasantly surprised the first time they use the TL140200AV. It packs a lot of power and, when maintained properly, will outlast many similar models. Owners of this tool have used it to remove most rusted lugs, and have used it for automotive and home repairs with equal success. 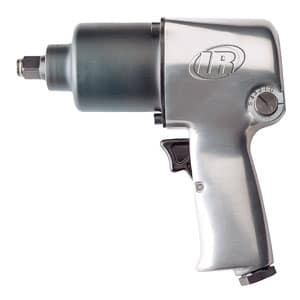 This is a good cheap impact wrench with similar specs as the Ingersoll Rand above but slightly lower build quality (the lower price reflects that). When purchasing this impact wrench, it is important to remember that it was designed for DIY use. As a result, it will hold up well under regular use, but may suffer a reduction in power or lifespan power when used commercially. It is also better to use this with a larger compressor, as pancake compressors may not provide enough pressure. Many first-time buyers choose to get an impact wrench due to recommendations by websites and DIY manuals. These unfortunately tend to leave out important details which can affect the performance of your new impact wrench. What’s the difference between an impact wrench and impact driver? There are a few major differences between impact wrenches and drivers. The first is in the default size and shape of the drive. 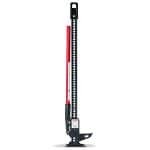 Impact wrenches tend to have one-half inch square drives that are designed for removing bolts and other socket types, while impact drivers have a one-quarter inch hex drive designed for screws. Impact wrenches also have more torque, making them excellent for automotive use, whereas impact drivers work better in home DIY projects and may not be strong enough to handle a car’s lug nuts. What size of impact wrench is best for lug nuts? By far, the most common size of impact wrench to use for lug nuts is a 1/2-inch. In some commercial applications, a larger or smaller size may be required, but the average vehicle owner will rarely need anything beyond the standard one-half. 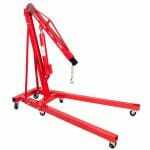 What kind of air compressor do I need for an air impact wrench? The main metric in an air compressor that you’re looking for is something that has a CFM (cubic feet per minute) rating of at least 4.0 CFM @ 90 PSI. 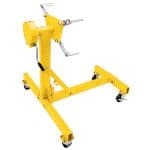 Air impact wrenches are pretty “air hungry” so most small portable compressors simply won’t work very well. Also, a decent sized tank (6+ gallons) is also a good idea. Otherwise the compressor will constantly be running trying to catch up. Torque Sticks – What Are They and Do I Need One?